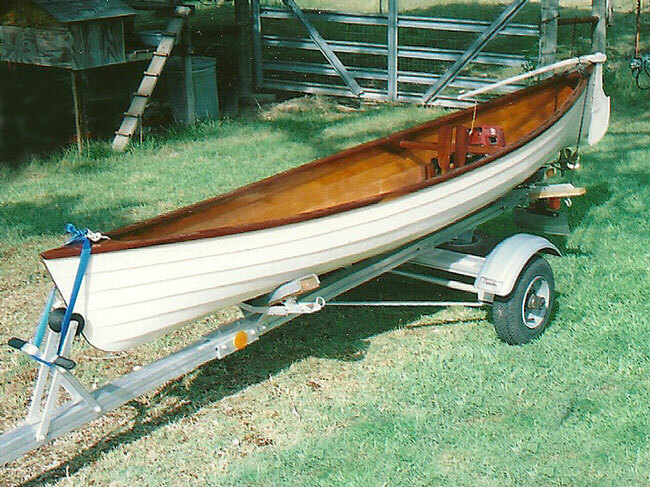 John Campbell of Belton, Texas built a Charlotte canoe from plans created by Tom Hill, then he made some modifications. John’s canoe now has an inboard motor borrowed from his weed trimmer. The trimmer drives a 5″×6″ 5-blade propeller and can be removed when John’s lawn gets shaggy. John also replaced the tiller with a yoke so he can steer more easily from amidships.